* ZERO DEPOSIT GUARANTEE AVAILABLE * THIS DECEPTIVELY SPACIOUS MID TERRACED PROPERTY IS SURE TO MAKE AN EXCELLENT FAMILY HOME. Internal photos to follow as the property is currently undergoing refurbishment. The property comprises of two double bedrooms, single bedroom and family bathroom with shower over the bath to the first floor. There is access to the loft via a pull down ladder. Whilst to the ground floor there is a large lounge, kitchen/dining room, utility area and downstairs shower room with WC. Externally there is a lovely rear garden. Ideal for a family, this spacious and lovely home is not to be missed. Call the office now to book your viewing. 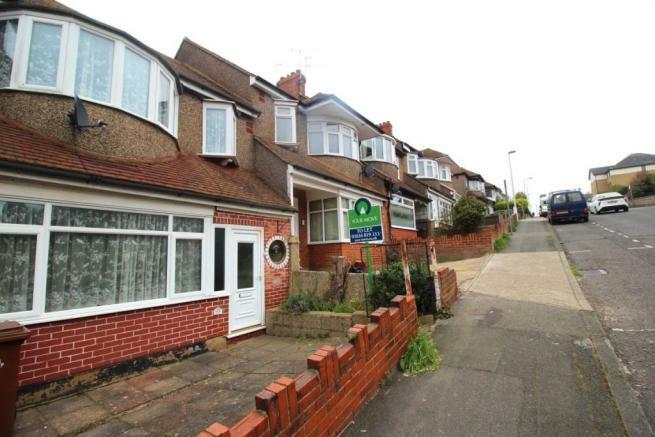 This property is marketed by Your Move , Chatham at £950 per month. Rightmove has calculated the price per week for comparison purposes only. Property reference 034528899043_L. The information displayed about this property comprises a property advertisement. Rightmove.co.uk makes no warranty as to the accuracy or completeness of the advertisement or any linked or associated information, and Rightmove has no control over the content. This property advertisement does not constitute property particulars. The information is provided and maintained by Your Move , Chatham.